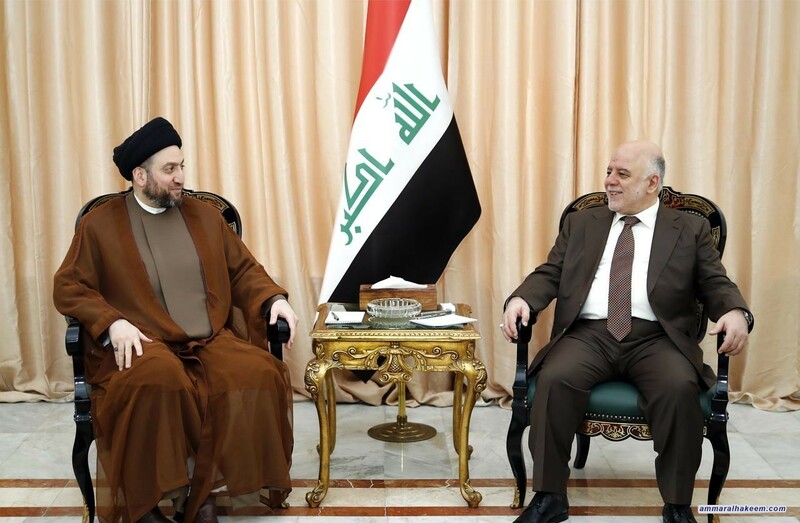 His eminence with Abadi discussed latest political situation and institutionalization of the Reform and Reconstruction Alliance. 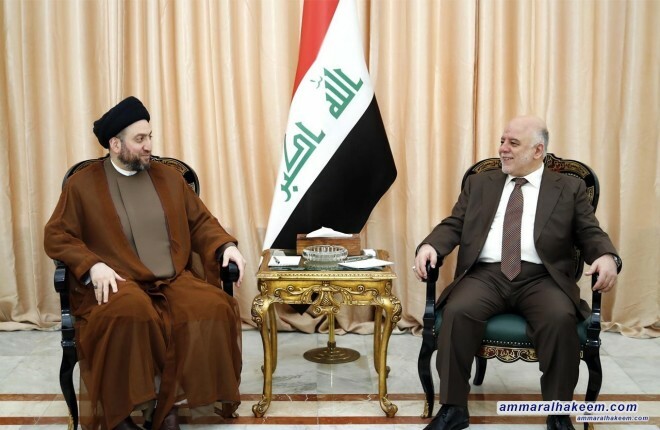 His eminence indicated that Iraq has taken important steps in its political experience, pointed out that the recent experience provided an ideal model in peaceful exchange of power, and that accumulation of pros requires more flexibility and waiver in favor of Iraq and the interest of the public, and renewed the importance of completing the government cabinet. Regarding the legislative reality, his eminence stressed the importance of passing important laws, and pointed out that it requires mature visions and coordination among all to come up with laws capable of supporting the executive process, combat corruption and drain its resources. Regarding the Reform and Reconstruction Alliance, his eminence indicated " the Alliance represents a model of powers of moderation, and institutionalizing the Alliance is important for its development" adding that institutionalization means forming internal committees and distribution of tasks and roles so that the Alliance will have a unified visions within the Council of Representatives and openness to the remaining political blocs.